As one of 's most experienced and innovative consultants, I am passionate about inspiring men and women to Look and Feel their best. How can I help you? You may want to fine tune your look to be more confident / contemporary / professional or you may want a total transformation. I would love to help you on that journey. 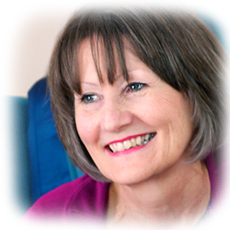 My consultations are relaxed, liberating and uplifting and consistently exceed expectations. My easy-to-follow guidelines will enable you to select good wardrobe investments and save you money, time and stress. For more details of my extensive range of consultations and services please click on the appropriate link at the foot of the page. What a fantastic morning Sue, thank you ever so much for all your help! I now feel really confident and inspired about what colours to wear - I cannot wait to go shopping! I feel like you have offered my wardrobe a much needed breath of fresh air. Your attention to detail and colour knowledge really impressed me and so huge, huge thanks. I will keep you posted on how I get on. Firstly a very big thank you for a wonderful morning on Friday.ï¿½ I thoroughly enjoyed myself and thank you so much for your time and patience, and for giving me the confidence to clear several items from my wardrobe without even hesitating!! I'm really looking forward to getting new clothes in my new colours, some of which I have never worn before. Thank you once again for the fabulous experience. I just wanted to say many thanks for such a hugely enjoyable and informative morning, it was great! It was so helpful to have the benefit of your experience and insight in a real shopping situation, I learnt loads that will stay with me always. I can't wait to find some time to be really ruthless with my wardrobe now!